Hi!!!! Umm well I am McKenzie and Caitlyn is helping and we will switch on to the questions. They do not border Canada. They do not live on a coast. They border the Mississippi River. They are not in Minnesota, Iowa, Missouri, Arkansas, or Louisiana. Otherwise known as Mr. Mimal. They do border Kentucky. They do not border Tennessee. We just found out that they live in Chicago, Illinois. Chesnee has visited there before. This was a fun skype. 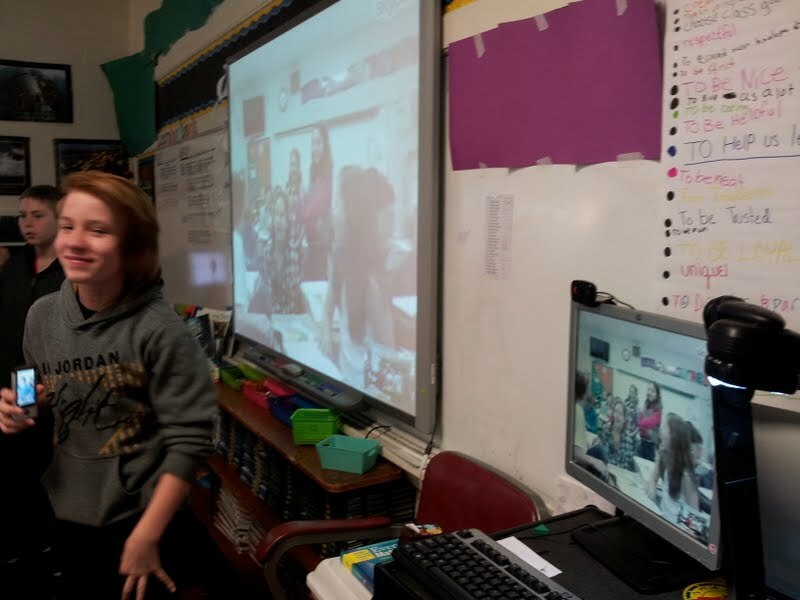 Here's how our class looked during the Mystery Skype visit. (those of us sitting at our desks). try and narrow down the results. Mariah and Chesnee wait for them to ask us another question. Hailey asked them, "Does your state border the Mississippi River?" And the answer was YES!!!!!!!!!!! of all the information about their state. *Toward the end of the Mystery Skype when they guessed our location! 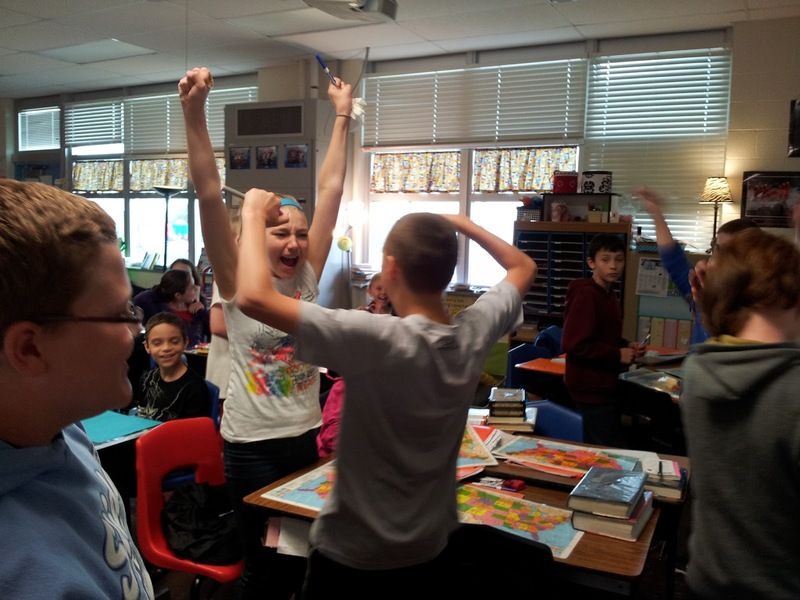 *We were incredibly excited when we guessed their location, too... in Chicago, Illinois!! Except for the two pictures with an asterisk, all pictures were taken by Jaden!